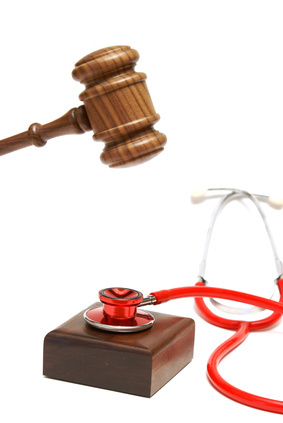 Inmates are entitled under the 8th and 14th amendments to a clinical judgment made by an appropriately credentialed health care provider whenever attention to a health concern is requested. Nurses often are the first health care provider to see an inmate about their health concern and so must have expertise in making clinical judgments. The nurse is the gatekeeper to the rest of the health care program and their clinical judgment includes determining if the inmate will be referred to another health care provider and if so, how soon. In the correctional setting it can be very challenging to have adequate, thorough and reliable information upon which to make decisions about an inmate’s condition and subsequent care. Finally ineffective clinical judgment can adversely affect the inmate’s health and wellbeing, waste resources and compromise the confidence and trust of inmates and staff in the nurse’s ability to provide effective care. These factors emphasize the importance of nurses’ expertise in clinical judgment as a distinguishing feature of the specialty of correctional nursing practice. We just returned from the 13th Biennial International Conference on the Nurse’s Role in the Criminal Justice System, in Saskatoon, SK. Correctional nurses from Canada, England, Wales, Norway, Australia and the U.S. shared their research and best practices over two and a half fabulous days of learning. Lorry and I gave a presentation on Clinical Judgment in Correctional Nursing Practice and one of the questions afterwards was “Can you teach nurses good clinical judgment?” An interesting discussion ensued among the participants which is still giving me a lot to think about. Reviewing the outcomes (Tanner, 2006). Clinical judgment is the outcome of clinical reasoning and critical thinking. Clinical reasoning is facilitated by past experiences and the use of tools to structure decision making especially for frequently occurring situations. Critical thinking is a broader concept and has been described as purposeful thinking (Paul, 1993), a composite of knowledge, attitudes and skills (Staib, 2003) and results-oriented reasoning (Alfaro-LeFevre, 2004). The National League for Nursing (NLN) defined critical thinking as resulting in both fact and belief based judgments with ethical, diagnostic and therapeutic dimensions (NLNAC, 2000). Good clinical judgment is the product of the combination of our experience, knowledge, attitudes, and beliefs. It also provides fertile ground for errors in clinical judgment. Our experience can lead to unconscious ‘habits of the mind’ that result in missing an important diagnostic clue or change in situation. Biases, such as selectively attending to data that fit a certain diagnosis and ignoring data to the contrary or coming to a diagnostic conclusion too quickly contribute to poor clinical decisions. Repeated personal experiences and cultural socialization become incorporated into our assumptions, may alter our interpretation of symptoms and cloud our judgment. So how would you reply to the question “Can you teach nurses good clinical judgment?” What are your thoughts about how to develop nurses’ expertise in making clinical judgments in the correctional setting? Please share your opinions by responding in the comments section of this post. Read more about clinical judgment in correctional nursing practice in Essentials of Correctional Nursing, Chapter 15: Sick Call. Order your copy directly from the publisher at http://www.springerpub.com/product/9780826109514#.UDqoiNZlQf4 . Use promotional code AF1209 for $15 off and free shipping. Alfaro-LeFevre, R. (2004). Critical thinking and clinical judgment: A practical approach (3rd. ed.). Philadelphia: W. B. Saunders. Berkow, S., Virkstis, , K., Stewart, J., Aronson, S., & Donahue, M. (2011). Assessing individual frontline nurse critical thinking. The Journal of Nursing Administration (JONA). 41(4), 168-171. Brunt, B.A., (2005). Critical thinking in nursing: An integrated review. The Journal of Continuing Education in Nursing, 36(2). 60-67. National League for Nursing Accreditation Commission (NLNAC). (2000). Planning for ongoing systematic evaluation and assessment of outcomes. New York: Author. Staib, S. (2003). Teaching and measuring critical thinking. Journal of Nursing Education, 42(11), 498-506. Tanner, C. A. (2006). Thinking like a nurse: A research-based model of clinical judgment in nursing. Journal of Nursing Education, 45(6). 20054-211. This entry was posted in Assessment, Professional Practice and tagged Catherine Knox, correctional nursing, Essentials of Correctional Nursing, jail nurse, prison nurse, Standards of Practice. Bookmark the permalink.